Tooth decay is caused by an infectious disease called dental caries. Caries is the formation of homes, or “cavities,” in your teeth by acid-producing bacteria. It is the world’s most common infectious disease of children today. 1. What causes Tooth Decay? The presence and extent of tooth decay in your mouth depends on the balance of a number of risk factors. This balance varies between different people as well as within the same person over that person’s lifespan. For those people who are at increased risk for caries, regular brushing and flossing alone will not prevent their teeth from decaying. 2. What can I do to minimize my risk of future Tooth Decay? The first step in addressing tooth decay is to restore the teeth that have cavities. The decay must be removed and the missing tooth structure is replaced with a dental restoration. Your dentist may also suggest placing dental sealants or small preventive fillings on teeth with high decay risk. There are also important things that you must do on your own to decrease your risk of tooth decay. Discuss these options with your dentist and hygienist so that together you can make a plan that is right for you. 3. What will happen if I choose to do nothing about my Tooth Decay? The bacteria in tooth decay will eventually reach the nerve and blood supply of your tooth if your cavity is left untreated. The resulting pain and infection must be addressed by either a root canal treatment or an extraction of the tooth. If the cavity is too big, the tooth may not be restorable and may need to be extracted.  If you’re concerned about tooth decay, feel free to bring it up during your dental consultation. You can set up your first appointment with the Djawdan Center by contacting us or calling us at (410)618-5966.